There is a range of features that make modern garage door openers far more safe and family friendly. It is perfectly possible now to have a garage door that won't pump into your car or objects and will reverse if it detects the presence of an obstacle. There is a variety of brands and models to choose from today, and you can count on our company to get only the best. 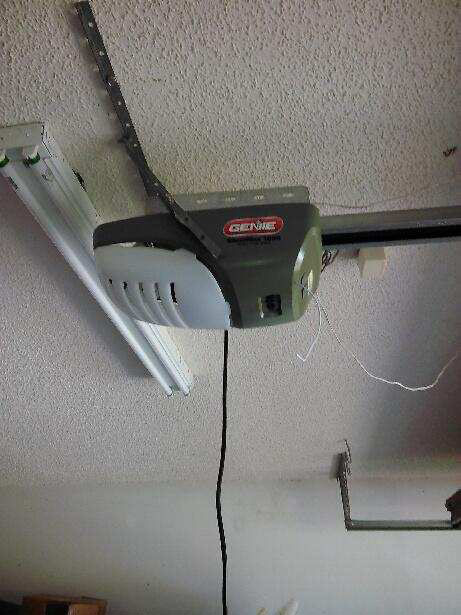 Genie, Liftmaster, and Sears are just a few of the many famous garage door opener brands out there. Different brands have different features, yet the main difference is the drive type: There are screw, belt and chain drive. Each has its pros and cons, but the most evident one is the noise level. Chain drive is known to be the loudest, so they are usually last recommended if your garage is a part of your home-structure. Of course there are many other features, such as Wi-Fi or Bluetooth compatibility. All modern garage door openers will feature safety sensors. Some will be more sophisticated than others. At the very least all models will have photo eyes which are placed to detect obstacles. If the path of the door is crossed, these sensors will disable the door right away. As with any type of equipment it is possible for photo eyes and sensors to become misaligned and malfunction. In the majority of cases, all that is needed is for an expert to troubleshoot and realign them. If you really like to keep up with technology, it is possible now to install openers that have increasingly sophisticated security systems. Some designs will allow users to operate garage doors with their smartphone or tablet. This seemingly simple measure eradicates the need for a separate remote, which can tend to be more easily lost, stolen and forgotten. Garage Door Openers, Repairs & Beyond! 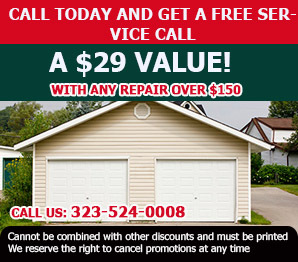 Garage Door Repair Montebello offers installation as well as repair and troubleshooting services. If you have a garage door that is in need of an update, call us today for a quote or friendly call out. We can help assess your circumstances and advise on an opener system that is perfect for you.